Microsoft plans to turn Windows into a modular platform that shares the same core OS. That will ensure all Windows devices can then be based on the same OS instead of having alternative versions of Windows installed. Microsoft has yet to announce a WCOS platform. However, a Windows 10 SDK in recent Windows Insider builds includes references to Lite, which might be Microsoft’s first WCOS platform. 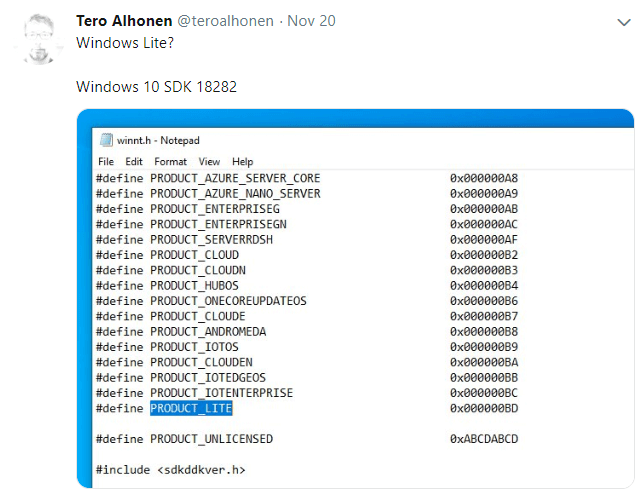 The Twitter user Mr. Alhonen spotted the Windows 10 SDK references to Lite. He posted a snapshot of SDK 18282 that lists Product_LITE, among other codenames, on his Twitter page. The renowned journalist Mr. Sams has now stated that Lite is a new version of Windows that Microsoft has under wraps to take on Chrome OS. Lite is reputedly a lightweight version of Windows. Lite might not even include Windows in its title, but it may still be a universal WCOS platform that can run on alternative device types. Lite could be a stripped down Windows version that runs just MS Store apps. That will ensure smaller mobile devices with lower system specifications can run the Lite OS. But hasn’t Microsoft done something like a lightweight Windows platform before? Yes, the software giant has launched stripped down Windows platforms before. Windows 10 S and RT were two Windows versions more specifically designed for lower specification hardware, such as the Surface Go. However, Microsoft is now phasing out Win 10 S. Thus, Light could be the replacement Microsoft needs for Win S.
Lite might sound similar to Windows 10 S. Like Win S, Lite will only run PWA (Progressive Web Apps) and UWP (Universal Windows Platform) apps from the MS Store. 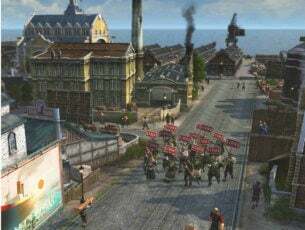 However, it might have a different UI design to Win 10. So Lite could be a little more than a mere iteration of Windows 10 with whole new look and feel. 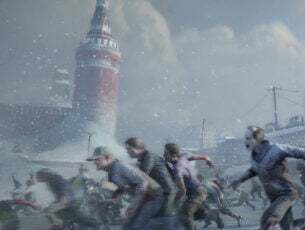 As previously stated, Light might not even include Windows within its title, which would set it apart from the primary Windows series. The rumor mill also speculates that Microsoft has a new dual-screen mobile devices in the pipeline. Centaurus is another codename included within a recent Windows 10 SDK. That could be the codename for an upcoming dual-screen device which might showcase the first Windows Core OS in the form of Lite. Microsoft will need Lite for a new breed of mobile devices that it might unleash over the next couple of years. Microsoft has not made any firm announcement pertaining to Lite. 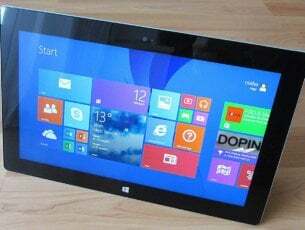 However, it might not be too long before the software giant does show off its first Windows Core OS.